Western Australia is truly blessed with an endowment of exotic minerals that will keep the wheels of industry turning around the world for hundreds of years to come. 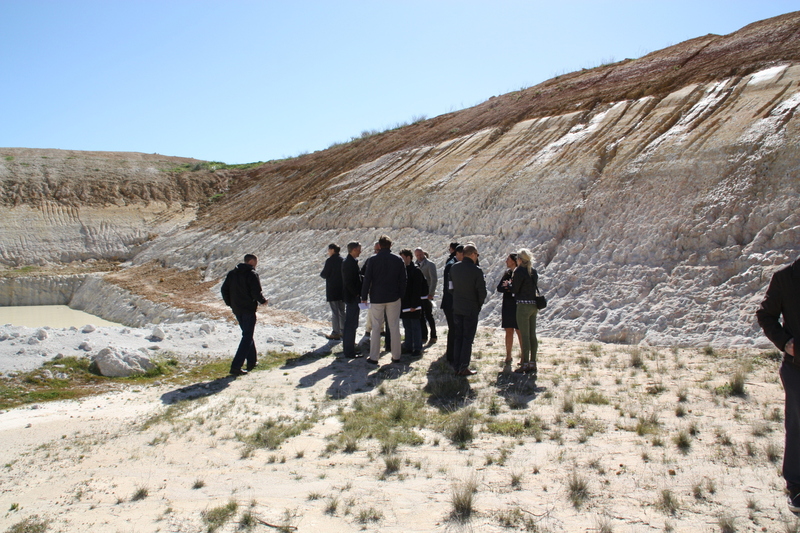 Perth-based ASX listed Altech Chemicals are sitting on a truly remarkable deposit of “Kaolin” near Meckering, about 135km east of Perth. They are in the final stages of a long journey that is expected to position the company as the world’s leading producer of high purity alumina or “HPA” that is developed from Kaolin. HPA is used to manufacture synthetic sapphire which in turn is used in the manufacture of substrates for LED lights, semiconductor wafers used in the electronics industry and scratch-resistant sapphire glass used for wristwatch faces, optical lenses and next generation smartphones. It is also an essential element in Lithium-ion batteries given its ability to act as a separator of cathode and anode sheets. Whilst you only have to mention the words Lithium-ion battery to get the market excited, the remarkable and ongoing growth in LED lighting alone is expected to materially impact demand for HPA long into the future. According to Persistence Market Research, global demand for HPA is expected to soar from 25,315 tonnes in 2016 to 86,831 tonnes in 2024 representing an impressive annual compound growth rate of nearly 17%. HPA use in Lithium-ion batteries alone is forecast to rise 15 fold between 2016 and 2025. HPA is valuable too, selling for between US$25,000 a tonne and USD$40,000 a tonne at a purity rate of 99.99%. The high price reflects the fact that production usually begins with a manufactured aluminum metal which is then dissolved in sodium hydroxide followed by a series of processes to remove the sodium impurities. This week Altech announced they had completed their final investment decision study on the project's numbers and by any measure they are a lovely set of numbers. Management say the project will produce an annual EBITDA of nearly AUD$100m a year for at least the next 30 years, which is only stage one of the mine's projected life. The project shows a net present value of almost AUD$650m which is not bad for a company that only has around 300m shares on issue, albeit that is likely to change as further capital is raised. It will cost about AUD$380m to build and show an internal rate of return of around 22%. The real kicker however is in the margin to produce a tonne of high purity alumina which is projected to be around 63%, reflecting the incredibly low level of impurities in the Meckering Kaolin deposit. Interestingly, the final investment decision study was based on a product sale price of around USD$27kg, however, high purity alumina is currently selling at around USD$40kg in Japan according to Altech. If the numbers were adjusted for a sale price of USD$40kg, Altech say the project would pump out AUD$170m a year in EBITDA and produce a staggering net present value of nearly AUD$1.4b. With a 30 year initial mine life, Altech haven't released their free cash generation from the project but with a potential NPV of AUD$1.4b it is likely to be a number that would make you spit your coffee out. The company appears to have a significant advantage over other HPA producers because of the incredibly high purity of their Kaolin deposit at Meckering that aleviates the need to create an Aluminium metal as a pre-cursor to the production of HPA. Altech believe the super high purity levels of their resource will allow the company to direct ship its kaolin to the HPA plant they are planning to build in Malaysia for conversion directly into high purity Alumina, bypassing the need to create an Aluminum metal first. The final investment decision study for the project revealed an operating cost of just US$9,900 per tonne, which compares to competitors costs of between US$14,000 to $US17,000 per tonne. The plant is expected to turn out 4,500 tonnes per annum, which could catapult Altech past Sumitomo Chemicals to become the world’s largest producer of HPA. Importantly, the company has negotiated an off-take agreement with Mitsubishi that covers the first ten years of production. Altech originally began working on the Meckering resource in 2011, before the tech metal boom really started to bite. At that time management correctly judged that the time would come for a deposit of such high purity. The other fascinating part of the Altech story is the potential for the German Government to guarantee around USD$165m in debt required to build the project. This will no doubt enhance the company’s ability to access finance and will slash financing costs down to a level that would make most of Altech's peers green with envy. The German Government operate a curious scheme that allows them to provide debt guarantees to banks that finance large projects that make use of German technology and German manufacturers. It so happens that a lot of the technology and engineering earmarked for Altech’s proposed HPA plant in Malaysia was developed in Germany. Altech will use Dusseldorf-based EPC contractor SMS Group to build the plant, which places the project front and centre in the race to attract a German Government bank guarantee. A decision on the guarantee is expected on the 14th of December and may have the effect of significantly re-rating Altech whose shares have already jumped from 13c at the start of the month to around 18c more recently. The giant German EPC contractor, who has previous experience with HPA plants, has already indicated that it will guarantee the EPC contract price, the throughout rate and final quality of the HPA product. 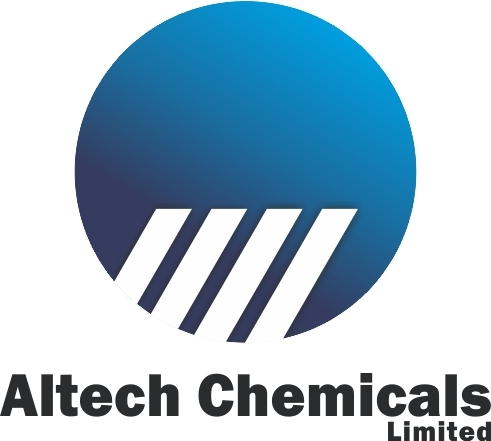 It also recently took a sizeable placement in Altech providing a further indicator of their belief in the project. Incredibly, Altech Managing Director Iggy Tan says that the company's 12.7mt jorc resource grading 29.5% Aluminium Oxide will last for 250 years at the expected throughput rate of 4500 tonnes per annum. He was the Managing Director at Galaxy Resources and was the driving force behind the company raising $80m to fund the revered Mt Cattlin spodumene Lithium mine. He then went downstream and managed to secure funding for the $100m Jiangsu Lithium Carbonate plant which was eventually sold for $260m in 2014. Galaxy became one of the world’s leading producers of high purity Lithium Carbonate on Tan’s watch and he appears to be saddling up again with Altech. He will be off to an awesome start if he can convince the German Government to guarantee his construction loan and the EPC contractor to guarantee the contract price, throughput and quality of product from the plant. Throw in an already negotiated, 10 year offtake agreement with Japan’s largest global trading company and it’s off to the races for Altech shareholders.